For those of you who live throughout California and beyond, Sacramento is the perfect weekend getaway. Our location makes us easily accessible. Our top-notch hotels, attractions and dining make us exciting. And our down-to-earth style makes us affordable. And it could not be a better time to visit Sacramento. 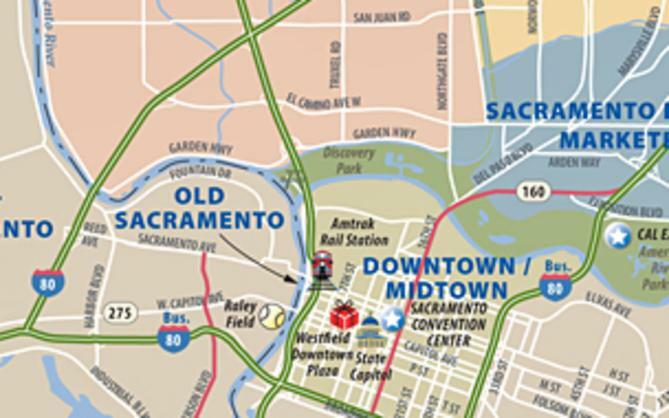 If you have not been here in the last few year, you will notice major changes to our downtown and midtown core with the building of the new arena, new restaurants that highlight our designation as “America’s Farm-to-Fork” Capital, and exciting updates to our “classic” attractions in Old Sacramento and more. And if you come regularly for business or pleasure, a weekend visit is a perfect way to dive deeper into what Sacramento has to offer. Here is an insider tip for anyone planning to visit Sacramento – you will often find that our hotels are cheaper on the weekends. You will still be able to see all of our classic (and new) attractions, like the California State Capitol, Old Sacramento and the California State Railroad Museum over the weekend while you enjoy your discounted hotel. And Sacramento’s location allows for a quick is just drive from most California locations. Picture it – a relaxing weekend in America’s Farm-to-Fork Capitol that is easily accessible and affordable. While there are many options and paths you can take while planning your weekend getaway, here are a few suggestions for your weekend itinerary. After you drive into Sacramento, you are probably ready to check into your hotel and grab something to eat. Luckily, you are in America’s Farm-to-Fork Capitol. Settle in with some room service or enjoy dinner at your hotel. Or you may want to venture out into The Kay for a bold dinner at Empress Tavern, offering a menu featuring rotisserie meats, craft cocktails and an adventurous battery of beers. After dinner, enjoy a cocktail at Dive Bar. Head’s up – you might see an actual, living mermaid. You wake up, and it’s a beautiful morning. It’s time for a little sightseeing. A visit to the California State Capitol is a must-do. The Capitol building opens its doors at 9am for the public. And it’s free. Check out this blog that tell you all about planning your self-guided tour of the Capitol and its grounds. After you visit the Capitol, it’s time to head to Old Sacramento. Old Sacramento sits 28 acres on Sacramento’s historic waterfront. It has seen both tragedy — fire and flood — and triumph — the raising of the streets, the founding of the Transcontinental Railroad, the terminus of the Pony Express, and the home of California’s first thriving business district, fueled by gold, agriculture and the river. It’s walking distance from the Capitol, and it’s where you will spend your afternoon. After perusing the unique shops, settle in for lunch at Ten22, which features a farm-to-fork inspired menu in an elegantly casual atmosphere. After lunch, it’s time to visit the California State Railroad Museum, one of Sacramento’s most popular attractions. It is a favorite of both railroad aficionados and beginning enthusiasts alike. 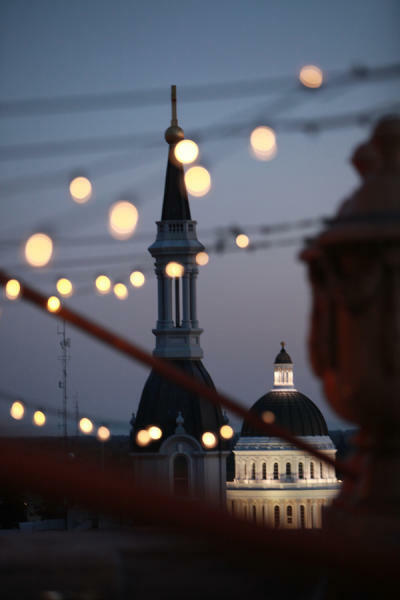 It’s time to relax with an evening stroll around Midtown Sacramento. From art galleries to bookstores to coffee shops to restaurants, midtown Sacramento gives off a hip, cool vibe that really emphasizes our locally-owned businesses and restaurants. Take your time, because most of these shops stay open late and feature special exhibitions and events on the weekend. When it’s time to choose a restaurant, I’ll leave that up to you. But if you would like to get a head start on what midtown specifically has to offer in dining, check out these listings. You wake up and it’s another beautiful day. Take a stroll around Capitol Park. After that, you have time to do one thing before you leave. It has to be brunch. You can’t miss brunch in America’s Farm-to-Fork Capitol. One of my personal favorite places for brunch is Café Bernardo. But once again, it’s up to you. Many of our hotels feature special brunch menus as well. After brunch, it’s time to go home. But we know you will have enjoyed a great weekend getaway in Sacramento. Your batteries are recharged, and you are ready for the week ahead. 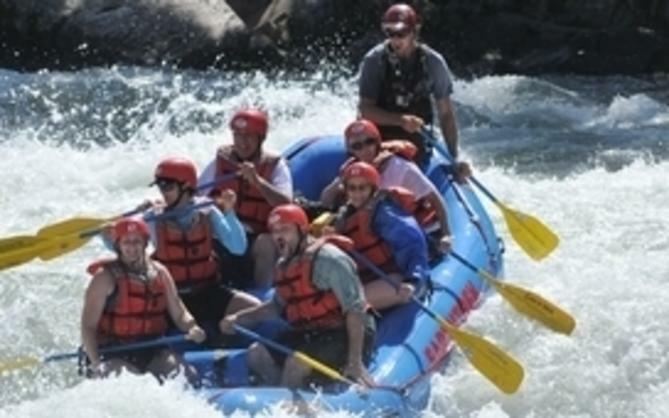 For more information about visiting Sacramento, check out our website. 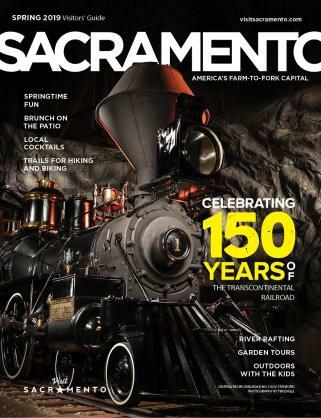 www.visitsacramento.com. And we have also partnered with Expedia for some great hotel deals.